To grasp a biblical understanding of the meaning of death we need to search out two things. What is the nature of mankind when God said; “let us make man in our image”? The other is; what kind of death did Adam and Eve suffered on the day they sinned? What does the word of God mean when it says mankind was man after God’s likeness? Adventism appears to somewhat agree with biblical passages such as Heb. 4:8-13 where Scripture declares God’s word is able to distinguish the human spirit from our soul along with our body that is made up of various parts of the flesh. However in the Adventist fundamental belief concerning the nature of man it deviates from this by saying mankind is ‘an indivisible unity of body, mind, and spirit’ where it mentions the mind instead of the soul. Since Adventist theology teaches ‘the breath of God’ is the Spirit of God giving mankind physical life via the air we now breathe, we must then ask, what died when Adam and Eve sinned? The Adventist fundamental belief concerning death and resurrection only mentions that ‘the wages of sin is death’. Since Adam and Eve lived for many years after they sinned and scripture assures us that they would and did die on the day they sinned then we are left wondering just what in their nature died. It couldn’t have been their bodies which were made up of the dust of the earth nor would it have been their minds. Referring to John 3:1-7 we learn that Jesus teaches us that sinners must ‘be born again’ of the spirit. What Jesus clearly implies is that mankind once had a living spirit but it is now dead and must be ‘born again’ before a fallen sinner can join the kingdom of God. In-other-words, regain the relationship that was lost in the Garden of Eden. Notice also that Jesus uses the same metaphor found in Gen. 2:7 of the Holy Spirit being like the air or wind we breathe. Furthermore, Lev. 17:1-12 tells us that the blood of a sacrificial animal, in representation of the shed blood of our Savior Jesus Christ, is the life, not the air we breathe. Jesus shed his blood, not air, to give us eternal life. In Adventist theology it is asserted that the ‘breath of God’ means that the air we breathe is what God put into Adam to give him life not realizing that this is simply a metaphor for the unseen working of God’s Spirit by which Adam was created in the image of God. Therefore, in Adventism, you are not someone with a soul and/or a spirit until after you are born and start breathing. This unbiblical concept opens the door to other heresy concerning the nature of mankind. Since these sacrifices represented the death of our Savior we can conclude that Scripture is teaching us that our own life of the flesh is in our blood and not the air we breathe to maintain this life. The breath of God relates to the unique way God made man in his own image. Since much of the animals God created on this earth breathe in the very same way we do it becomes obvious that this expression was a metaphor used to describe something other than the air we breathe. In practical terms Adventist doctrine is that you cease to exist when you die. Since the core passage that is used to support the Adventist concept of the state of the dead is to be found in the book of Ecclesiastes that is where this commentary will be focused. Without this passage the other lesson references can be interpreted otherwise. For a doctrine to be biblically sound it must be consistent with all of Scripture with the understanding that the interpretation of any certain passage is to be consistent from within its own context. The first point to be made is that the book of Ecclesiastes is one of poetry and poetry is not the best place to establish a doctrine especially when it contradicts other portions of Scripture or doctrine that is founded solely on Scripture. This is especially true here because those other places that do reflect on the doctrine concerning the state of the dead have been arbitrarily rejected by Adventism without providing believable biblical evidence. King Solomon wrote Ecclesiastes from the perspective that what mankind does “under the sun” is only vanity. This is a theme restated over and over in Ecclesiastes. When you come to chapter nine and study verses five through ten Solomon is saying that the dead have no awareness of the things being done “under the sun” because they are now dead. This reveals to us little or nothing about the abode of the dead. The condition of the dead is simply not what Solomon is concerned with. He is directing his thoughts towards those who are still alive and points out that all is vanity because, in his view, all we do or acquire in this life is surrendered to someone else when we die. What you should really be asking yourself is how am I to avoid this being true in my own life. Is it always true that all we do or have acquired in this present life nothing more than vanity? Then consider what happens to your vanity when Jesus is Lord in your life. To understand what Scripture really has to say about the condition of the dead we will examine the very passages that have been rejected by Adventist theologians starting with the words of Jesus. Jesus is the Son of God and everything that is true of the Father is also true of Jesus because he is very God himself, John 10:22-30. Jesus is our source of truth and in him there are no lies, John 14:5-11. This means that when Jesus uses metaphors, shares a parable or otherwise tells us of things even in figurative speech of things only God can know and reveal to us, his words are true in the very details. God does not sanction or tell lies to express and reveal truth. When Jesus said “there was a rich man” then there was a rich man which Jesus is sharing with us as absolute truth, Luke 16:19-31. Jesus describes the place of the dead where there is literal awareness of suffering on one side of ‘a great divide’ plus peace and comfort on the other side. It is wrong to modify the meaning of the words of our Savior to conform to preconceived ideas of what you think Solomon was saying in Ecclesiastes. It is Jesus who clarifies the words that Solomon wrote and not the other way around. Now let’s consider the account of when King Saul was in contact with the dead Prophet Samuel. An important point to take note of is that we wouldn’t even have knowledge of what Saul did or what Samuel said unless God, who was the only reliable witness to this event, revealed it for our benefit. Only God could have inspired the one who recorded this account in 1 Sam. 28:1-25. God is truth and in him there is no deception meaning he does not tell or support something not true, Num. 23:19 & Heb. 6:18. When you do not believe the clear teaching of Scripture Satan is the source of your unbelief, 2 Thess. 2:9-12. Scripture clearly says that it was Samuel speaking to Saul. The message was fully true and prophetic concerning Saul’s death. Take note that Samuel was very upset at being disturbed from his conscience peaceful rest. Who are we to believe? Is it what Scripture plainly says or is it what Adventism arbitrarily think Scripture means because Adventist don’t dare have the saints of God recorded in Scripture as knowing they are saved before the heresy of when they are purported to stand before God as outlined in the unbiblical Investigative Judgment doctrine? Adventist theology ignores and does not acknowledge that mankind died on the day Adam and Eve sinned. This could have only been a literal separate death from the physical death of the flesh. Amongst other consequences this unbiblical theology leads to not fully understanding why the resurrection and judgment of the saved saints of God is a totally separate event from the resurrection of the wicked dead. The reason for you to have a sure hope in the return of Jesus Christ is because your sins have been covered by the shed blood of Jesus Christ who came back from the grave three days later. There is no other reason to place any hope in the coming resurrection of the dead. The hope of the resurrection can be found only in the shed blood of Jesus Christ. There can be nothing added to this gospel message and still call it the gospel, Gal. 1:9. This promise to the apostles that they would again drink of this “fruit of the vine” in the Father’s kingdom applies to all saints who have been covered by the shed blood of Jesus. We have this sure hope which exposes the fallacy of the unbiblical Investigative Judgment doctrine. Today’s lesson is concerned with the resurrection and judgment of the righteous which is then followed a thousand years later by the wicked that remain spiritually dead in their sins. Paul is addressing fellow saints of God in the above passage. Even though they are eternally saved he is reminding them that we all will give an accounting of our works. The only works that can stand the test of fire are those that are built upon the foundational gospel message of Jesus Christ. This alone should be sufficient reason to not alter the gospel message. The righteous, when they depart this present world in death, are “home with the Lord” because their names are already known by God to be in the Book of Life. At the resurrection of the righteous they receive their ‘glorified’ bodies and certainly do appear before the judgment seat of Christ. In-other-words God already know whose name is written in the Book of Life before the return of our Savior Jesus Christ. When the wicked dead are resurrected they appear before God at the Great White Throne Judgment because their sins have not been covered by the shed blood of Jesus Christ. One of the foundational errors of Adventism is in arbitrarily asserting the meaning of a biblical text based upon something or someone other than the clear meaning of Scripture. Jesus’ account of ‘The Rich Man and Lazarus’ is recorded as a literal revelation of actual conditions concerning real people in the real place of the dead when they have departed this life ‘under the sun’, as King Solomon expressed it when expounding upon ‘all is vanity’ in the book of Ecclesiastes. Knowledge of conditions in the place of the dead is something only God can be trusted to truthfully reveal to us. Jesus, the Son of God does just that. Knowing this, we learn that Lazarus was well aware that he was comforted and secure ‘in the bosom of Abraham’ whereas the rich man was in conscience torment. From the very words of Jesus it becomes obvious that the unique Adventist doctrine of Investigative Judgment is a false doctrine because the claim is falsely made that none can know if they have eternal life before they appear before God in judgment. When you consider that Ellen White attempts to confirm this unbiblical teaching with what she claimed to be a vision from God then our unavoidable conclusion must be that she was a false prophet. However, abandoning her and this unbiblical doctrine has serious consequences affecting the very existence of Seventh-day Adventism. The response to the lesson question must be that there is everything right in teaching that “human beings go to paradise or hell immediately after death”. Just be sure you understand the biblical meaning of ‘hell’ and ‘paradise’ as you consider the words of our Savior in Luke 16:19-31. The lesson asserts that the resurrection of Lazarus was Jesus crowning miracle. This arbitrary statement is rather silly since his own resurrection was the ultimate miracle without which there would be no hope for those whose sins have been covered by the blood of Christ, 1 Cor. 15:18-20. In responding to this lesson question today’s commentary will be focused on the key phrases used by Paul in this passage but we will include the verses that precede the lesson quote. For a better understanding of this passage it is encouraged that if you are serious about understanding the Word of God that you study Paul’s whole epistle to the church in Corinth that leads up to this passage. Remember, when Paul calls them “brothers” he is writing to those who are members of the body of Christ. Paul is reminding them of what they already have in Christ. In response to this lesson question we will review the main phrases found in 1 Cor. 15:1-20. Paul isn’t teaching the Corinthian church something they don’t already know. Paul is confronting various issues (1 Cor. 1:10; 3:1-4) that are causing divisions within the church which are distracting them from the foundation of their (and our) faith centered on the pure gospel of Jesus Christ, Gal. 1:9. Although there is much more in Scripture concerning salvation these three things will suffice for understanding the phrase ‘being saved’: justification, sanctification and glorification. Jesus was delivered up for our trespasses and raised for our justification, Romans 4:25. It is Jesus who justifies a sinner. There is nothing and none who can bring a charge against God’s elect, Rom. 8:31-34. ‘Being saved’ is a reference to sanctification and is an ongoing work of God through the indwelling Holy Spirit, Rom. 8:9-17. Because we have a sure hope in God’s justification and sanctification of our lives we know this will culminate in our coming glorification. Consider the faith of the saints in Hebrews chapter eleven. Salvation is totally a work of Jesus Christ. When we place our faith in anything other than the work of Jesus Christ we are in mortal danger of placing that faith in something that is not true which will not achieve salvation. Ponder and understand the meaning of the warning found in Gal. 1:9. There is nothing more important than to proclaim that Christ died for our sins, was buried and that he was raised three days later. This is why nothing else can be added to the gospel if what you preach is to remain the gospel. What some say does not make what they say to be truth. Truth can only come from God. This is why the Scriptures and nothing but the Scriptures must remain our source for truth. What this means is that the only thing between us and eternal death is the resurrection of our Savior. This also means that when you place your faith upon the gospel message of the finished work of Jesus Christ the promise of eternal life is founded upon that alone. The Roman detachment that sealed and guarded the tomb faced certain death if they failed in their duty. When they reported what had happened to the Jewish authorities they bribed the guard to tell a lie, Matt. 28:1-15. 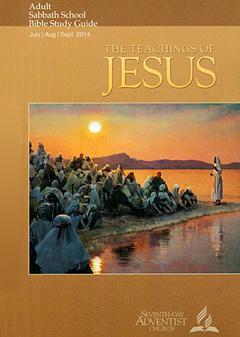 The resurrection of Jesus Christ culminates the complete gospel message as outlined in 1 Cor. 15:1-5. What follows the resurrection of Jesus Christ is his ascension into heaven where he sat down at the right hand of God the Father nearly two thousand years ago, Heb. 1:3. Since where Jesus has been seated is the holiest place Jesus can be it becomes obvious that nothing could have happened in heaven in 1844. Today we will ignore the Ellen White quotes in the lesson and instead focus on what Scripture has to say about the resurrection of the righteous. Note well that according to Adventist theology those who are the righteous dead are unconscious and essentially non-existent along with the wicked dead until Jesus brings them with him upon his ‘second coming’ otherwise known as the rapture of the saints of God. It should be obvious that they do not stand before God until after their resurrection. And, as we have pointed out earlier this week, their salvation is not what is being determined at this time of judgment. Even in Adventist theology, the wicked dead are not judged for another thousand years where we can conclude that none are found to be in the Book of Life. Flesh and blood cannot inherit the kingdom of God. On the day Adam and Eve sinned their spirits died, Gen. 2:16-17. Jesus taught that sinners must be born again of their spirit in order to inherit the kingdom of God, John 3:1-21. All those who meet the Lord in the clouds do so for one reason only. Their sins have been all forgiven and they are eternally born again of their spirit by the gift of the indwelling Holy Spirit. In Romans 8:18-37 we learn that nothing, not even death, can separate the righteous from their Savior Jesus Christ.